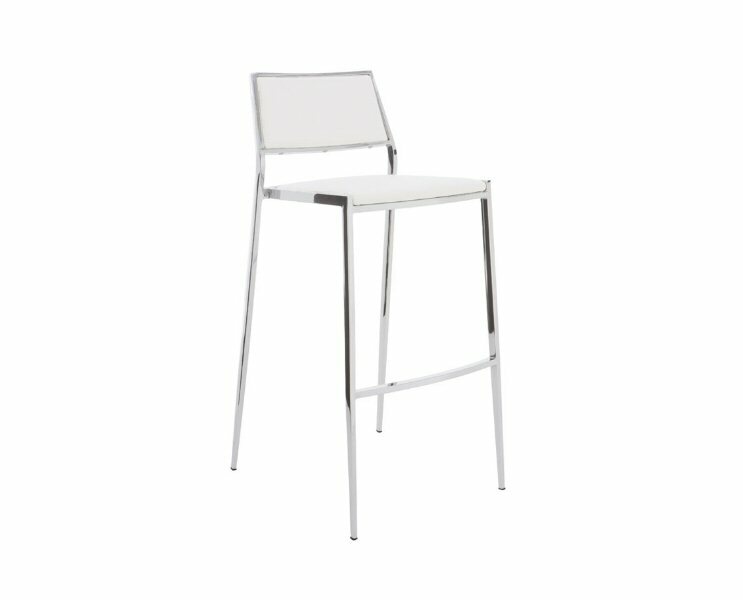 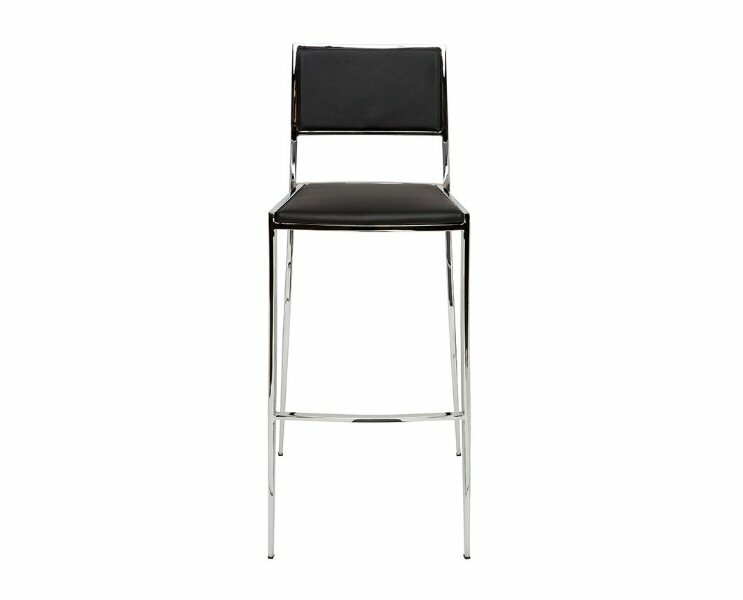 Nuevo Living Aaron Stool is an alluring combination of dazzling chrome and supple black naugahyde. 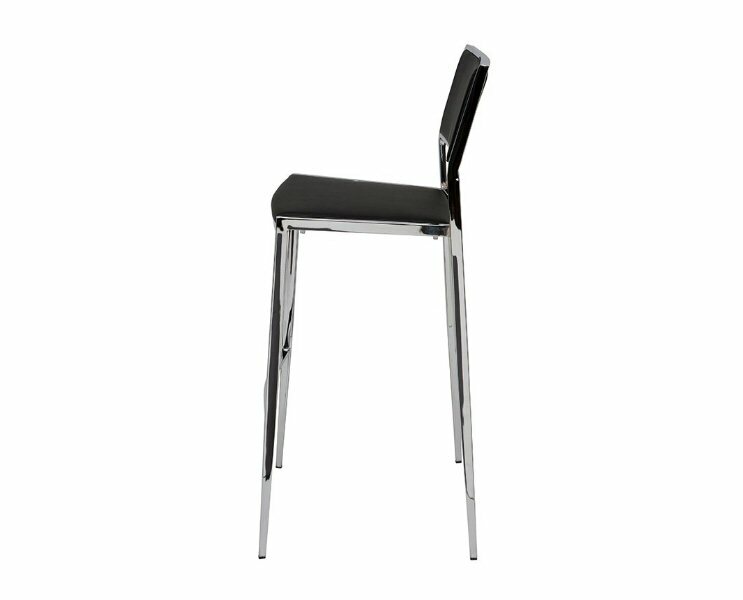 The fixed foot rest and geometric frame provides for comfort with a streamline, elegance. 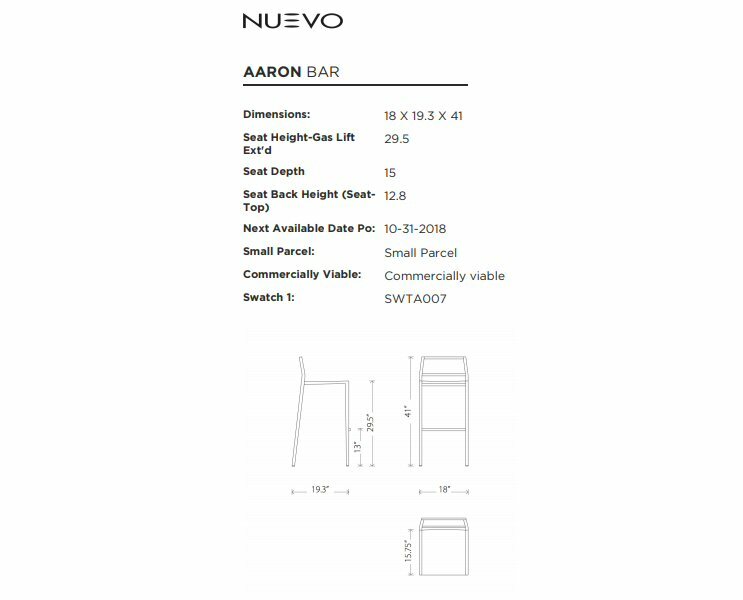 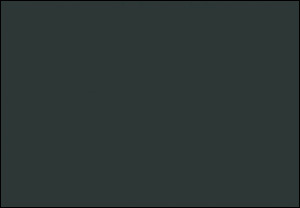 The Aaron, clean, versatile, contemporary. 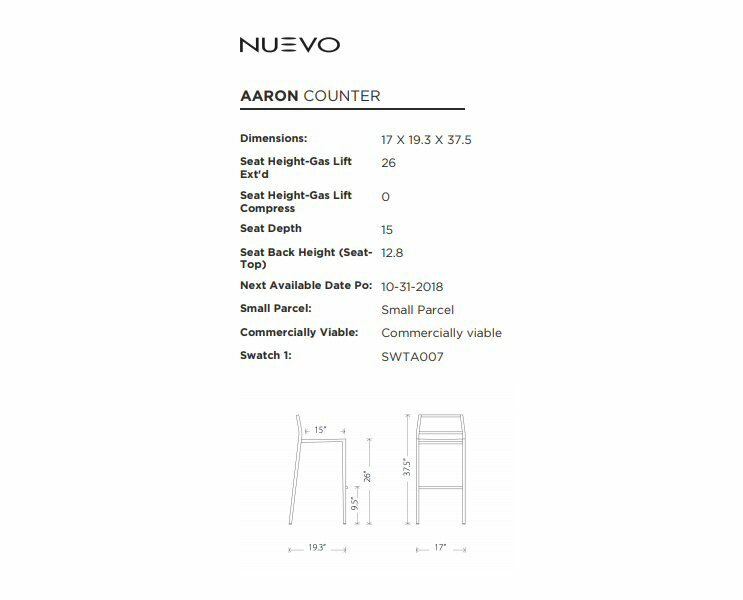 counter stool dimensions: 18"w x 20.25"d x 36.25"h, seat height: 24.75"
bar stool dimensions: 18"w x 20.25"d x 41"h, seat height: 29.5"